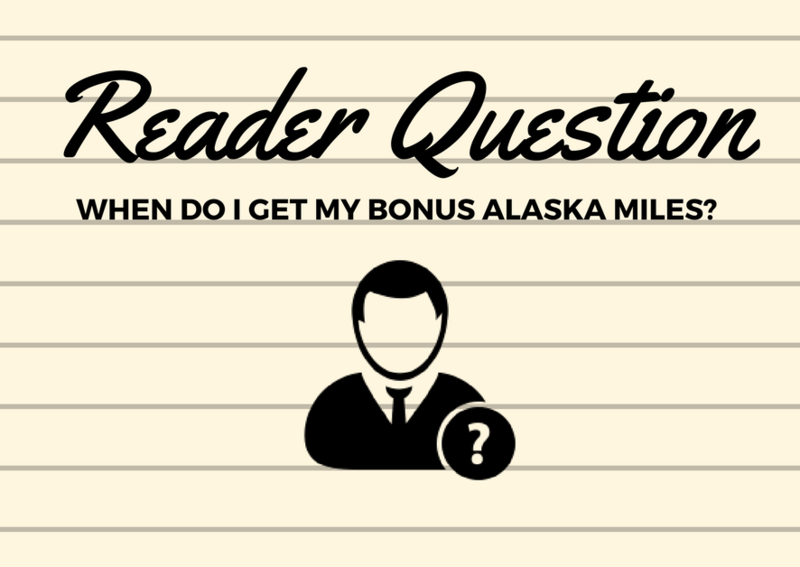 Reader Question - When Do I Get My Bonus Alaska Miles? I get a lot of questions in the comments section of my blog and through email. Most times I will answer the question through the same channel that the question was received, however, there are times where it makes sense to make the response a little more visible to other readers. That’s the case today. Hi Jayce! I recently applied for this card and received the 25,000 points after meeting the minimum spend. The points appear in my mbna.ca rewards account however, when I log in to my Alaska Airlines Mileage account the points are not available. (I included my mileage account # when I applied for the card.) Do I need to transfer the points myself from one account to the other or will they automatically appear later? Thanks so much in advance! First off, Sam, congratulations on getting what might be one of the most powerful and underrated cards in Canada. For those that don’t know, you can be like Sam and get the MBNA Alaska Credit Card for $15 and earn 25,000 miles. The normal annual fee is $75 but if you read my card review, you can find out how to reduce it to $15. The MBNA Alaska card is also probably the most churnable card in Canada, so you can get the bonus over and over again! In fact, you could earn up to 100,000 Alaska miles for $60 ($15 x 4) in a one year period. That’s amazing! Additionally, the miles you earn are incredibly powerful. If you want more information on how you can use these miles for extreme value, check out my series on Booking Alaska Partner Airlines. The MBNA Alaska Airlines World Elite Mastercard is unlike the American Express cards in that your points are deposited after your account bills, whereas with AMEX, you earn your points the next day. While this is not ideal, I’ve never been shortchanged for my earned miles. As soon as your account bills, the miles are deposited into your Alaska account on the Sunday following the account billing. So if your account bills on Friday, just wait a couple of days and your miles should be in your account. To clarify on Sam’s question, this happens automatically and there is nothing that you need to do. What you want to ensure, is that the number that I blurred out for privacy reasons, matches your Alaska Frequent Flier number. There is a possibility that the numbers do not match. That may happen because the Alaska Frequent Flier number that you applied with may have been missing a number, been incorrect for some other reason or the names on the Frequent Flier account and the credit card do not match. If this is the case, MBNA will request a new Alaska Frequent Flier number to be opened on your behalf. If this happens to you, it’s not the end of the world but it will take a complete billing cycle for it to be rectified. In fact, if you want to ensure that you don’t have to go through the hassle of correcting the error, simply call MBNA prior to your account billing and ensure they have the correct Alaska Frequent Flier number. Trust me. It’ll save you so much time on the phone trying to get it corrected. As a side note, MBNA and Alaska make it very difficult for you to funnel your family’s points into one account. When my wife opened up her MBNA, we used my Alaska Frequent Flier number as the account to deposit the miles. Unfortunately, they saw that the names on the accounts did not match and opened up a new Alaska account for her. Try as we might on both MBNA and Alaska’s end, we could not get them to put the points into my account. That happened to me last month. My newly created account with Alaska Airline wasn’t applied to my application with MBNA. I emailed Alaska Airline and they linked the MBNA number to my Alaska Airline account. The account I created first was deleted afterward since it had 0 point in it. Hi Jayce, how long do we have to wait to cancel the card after the miles are credited? While there’s no perfect answer for this, I would personally wait a month or two to cancel. In theory, once the points are awarded, MBNA washes their hands of the transaction but you also don’t want to risk them clawing back the points so I would wait a bit. I got the card, but prior to that did not belong to Mileage Plan. I assume then I don’t have to worry about the number not matching? I can say that the Alaska MBNA interface certainly leaves something to be desired. There is no location in the login (profile) where you can verify the Alaska Mileage Number that is associated with the account and requires calling the Mastercard (MC) call center (TD?). When I called their customer service, it turns out they did not have a Mileage Plan number on file for my account (it was in my application, I have a screen capture of it before I submitted) so they had to add it manually and submit a request to the ‘team’ to find out where the miles went. I would tend to agree with you. I had a similar experience when my wife applied for her card. We entered an Alaska number but the system did not use it for the distribution of the points. They ended up creating a new Alaska number and it took forever for them to send the points over to the correct account (about 3 months). My recommendation is to escalate this to the supervisor level and come up with a reason you need to have it sorted out immediately … like maybe you have an upcoming redemption or something. If you look at your statement from MBNA, you will see on the first page, on the right hand side, a box that shows you how many points are being given to you. In that box, there will be an Alaska Mileage Plan number. That’s where your points went.